LJS-PA Series Plastic Safety Interlock Switches. The LJS-PA series plastic safety interlock switch has a double insulated structure so no grounding line is required. 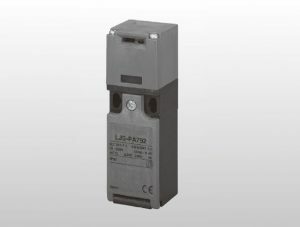 It has a forced contact opening mechanism, UL/CSA/CE markings and a superior IP67 seal. The series has models with different contact configurations and straight, right angle, and adjustable tongued keys.